Lot:4018 Friedberg195c. 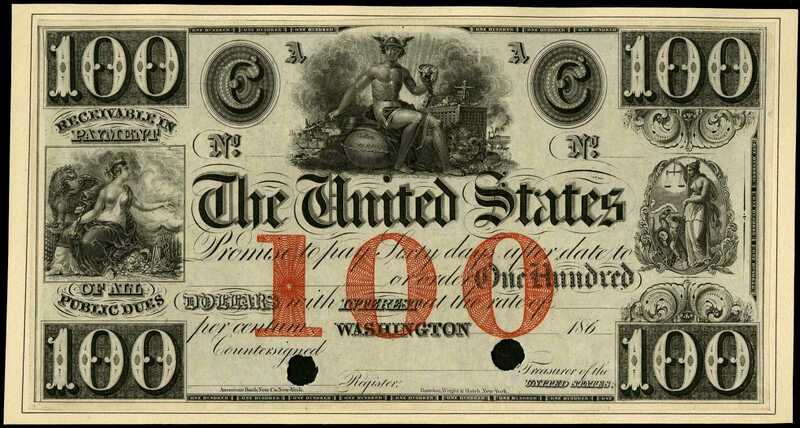 1861 $100 Interest Bearing Note. PCGS Currency Very Choice New 64. Proof.